Click to call and schedule a quick and easy in-home estimate! Square Cow Movers are proud to provide a full suite of moving services in Westlake and surrounding areas! 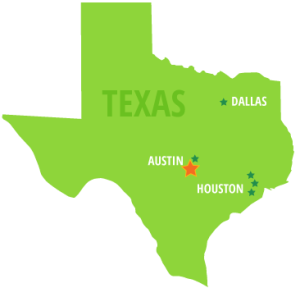 Our Austin locations are located deep in the heart of Texas, in one of the fastest growing cities in America. The Westlake area has an ever expanding food scene with delicious food trucks, outstanding BBQ, and a new exciting restaurant opening practically every week. It also features beautiful communities such as, SoCo, Circle C, Shady Hollow, and many, many more! Our Westlake movers are locals familiar with the terrain, the the roads, the weather, the…well, you the get the idea. Square Cow Movers knows how to get that pool table up the flight stairs of a historic home in Travis Heights. Whether you are just moving down the street or moving across the country, our mission is to provide a safe, stress-less moving experience for you and your loved ones. It is our mission to be your residential movers, commercial movers and/or long-distance moving solution. So, if you need a Westlake mover, give us a shout. We won’t let you down. For more information about how awesome we are, check out our transparency and trust policies. Below, please find a complete list of services we offer in this area. We look forward to serving you! Want an Instant Quote now? Click Here Have a question? Fill out the form below. Where Should You Look for a Home in Westlake? There are a lot of great areas in Westlake all the way from the west to the east. In fact, neighborhoods in southeast Austin are some of the hottest up and coming areas that offer great value. In the southwest below Westlake there are a number of well-established neighborhoods that are great for families. Go a little further west and you can find spectacular homes in the Hill Country. The I-35 South Corridor is a mix of new builds and mature neighborhoods that were developed decades ago when there was little else around. Nearby cities like Kyle and Buda are among the fastest growing areas in all of Texas, so be prepared for more development. What’s the Easiest Way to Change My Address in Austin? Not too long ago you had to go down to the post office to get a change of address packet. Now that can be handled online whether you’re moving inside the city limits, to picturesque Lake Travis or out of state. You can change your address online at moversguide.usps.com. Will Square Cow Movers in Westlake Help Me Pack and Unpack? Our South Austin moving company does offer packing services. For local moves we can help you pack, load up the truck, unload the truck and unpack. Before your big move, our staff can help you plan everything out so it goes as smoothly as possible. Our packing and unpacking services include most home items including tough-to-move items like pianos and pool tables. We also sell packing supplies if you decide to pack up on your own. Is There a Checklist to Prepare for Moving? Each move is unique, but there are a lot of best practices we’ve picked up along the way. Our Westlake movers have put together a Mooving Checklist and Pre-Move Information page that list our top suggestions for any move. Can I Store My Items Temporarily While Moving in the Westlake Area? Yep! We actually had so many clients ask if we could help with storing items that we decided to open our own Austin storage facility. There’s over 40,000 SQ FT of space and a helpful staff that makes storage simple.